Kabul, Jan 31: Afghan President Ashraf Ghani refused to speak to Pakistan Prime Minister Shahid Khaqan Abbasi when the latter telephoned to offer condolences following a devastating terror attack in Kabul, the media reported. TOLO News said Abbasi telephoned Ghani "in connection with the spate of recent attacks in Afghanistan." 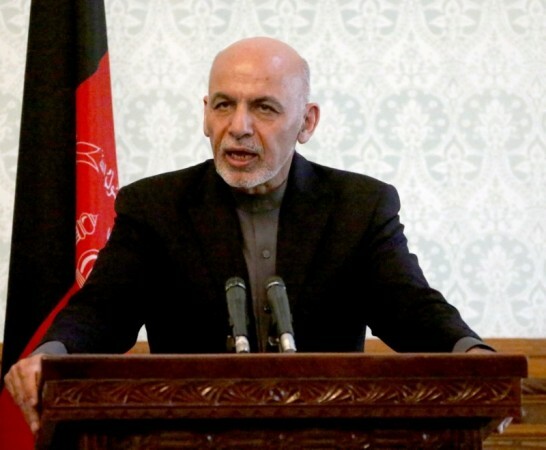 The Afghan daily said Ghani had sent a delegation to Islamabad "to hand over evidence related to recent attacks in Kabul" to be shared with the Pakistan Army. Kabul accuses Islamabad of backing terrorist groups in Afghanistan.